Where you will find TOP Quality European conformation and working dogs. 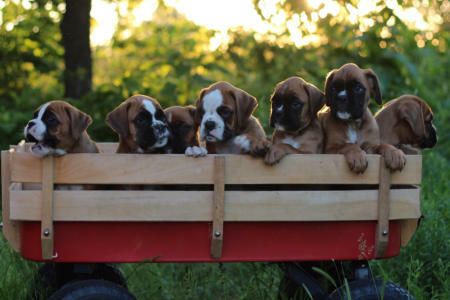 Please enjoy our home on the web where you will find a parade of wonderful examples of the boxer breed! 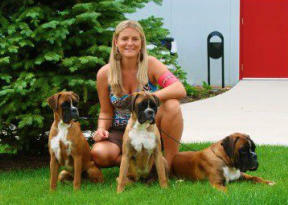 We take great pride in producing the best quality boxer puppies Europe has to offer right here in the United States! Strictly European Boxers where quality, health, and temperament matter. Why import when you can purchase the same quality right here in the United States with no worries of paperwork and health guarantee's that matter. We are very proud of our accomplishments and encourage you to take a look at our photos, health testing, reviews, and what is in store for us here at Euro-Dream. I would like to share with everyone our home here at Euro-Dream. 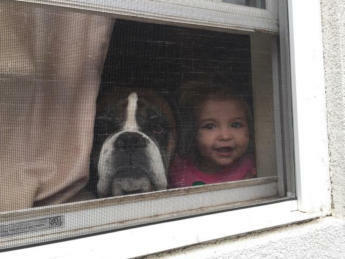 When we built our home back in 2009 I wanted to be sure I had plenty of room for my furry kids! We have an entire floor of our home dedicated to them. Please view our pictures and you will see just how life is here at our home where everyone sleeps at night and plays out side during the day. We are very fortunate to have lots of room in our home along with several acres for the dogs to run and play on. Our goal is to raise happy and healthy European boxers for American families to enjoy! I hope they will touch your lives just as ours have for us! I hope you enjoy our home on the web.